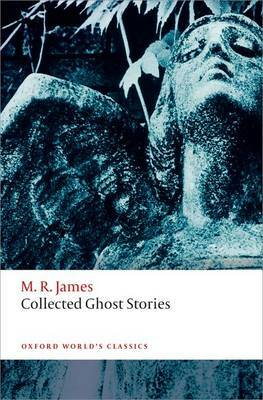 'I was conscious of a most horrible smell of mould, and of a cold kind of face pressed against my own...' Considered by many to be the most terrifying writer in English, M. R. James was an eminent scholar who spent his entire adult life in the academic surroundings of Eton and Cambridge. His classic supernatural tales draw on the terrors of the everyday, in which documents and objects unleash terrible forces, often in closed rooms and night-time settings where imagination runs riot. Lonely country houses, remote inns, ancient churches or the manuscript collections of great libraries provide settings for unbearable menace, from creatures seeking retribution and harm. These stories have lost none of their power to unsettle and disturb. This edition presents all of James's published ghost stories, including the unforgettable 'Oh, Whistle and I'll Come to You, My Lad' and 'Casting the Runes', and an appendix of James's writings on the ghost story. Darryl Jones's introduction and notes provide a fascinating insight into James's background and his mastery of the genre he made his own. ABOUT THE SERIES: For over 100 years Oxford World's Classics has made available the widest range of literature from around the globe. Each affordable volume reflects Oxford's commitment to scholarship, providing the most accurate text plus a wealth of other valuable features, including expert introductions by leading authorities, helpful notes to clarify the text, up-to-date bibliographies for further study, and much more.